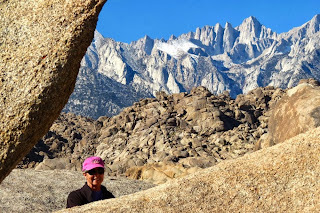 We had heard so much about Lone Pine and the Alabama Hills from other RV Bloggers like RV Sue, Paint your Landscape, The Lowe’s RV Adventures, and Wheeling It, that of course this had to be stop on our journey down US 395. The Alabama Hills are a well-known Boondocking site and we had planned on camping there. 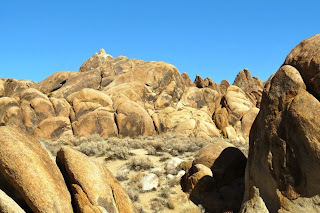 But first, we needed to dump and get water, which for $5.00 can be done at the BLM’s Tuttle Creek Campground. Tuttle creek is only a couple of miles from the Movie Road turnoff into Alabama Hills. 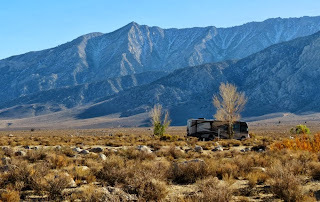 When we got there we found a mostly deserted campground. In fact, on the southern loop there was only one other camper. So, we decided to stay and camp at Tuttle Creek. We knew that in the more remote sites in the Alabama Hills cell service was spotty. 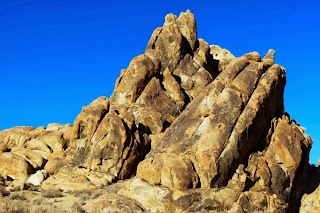 I needed to catch up on some work and in Tuttle Creek we were getting very good Verizon and AT&T cell service. Besides, with our senior pass it was almost free at only $2.50 per night. Even if you have never been to the Alabama Hills, they are more than likely very familiar to you. 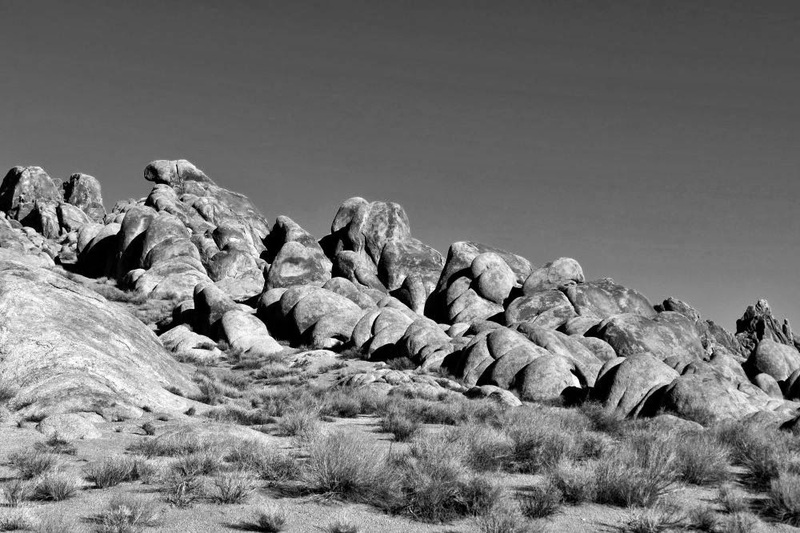 They have been a popular filming location for movies and TV productions since the 1920s. 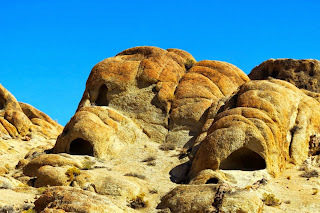 They were extensively used in the 1940s and 1950s in Westerns featuring such icons as Hopalong Cassidy, Gene Autry and the Lone Ranger. 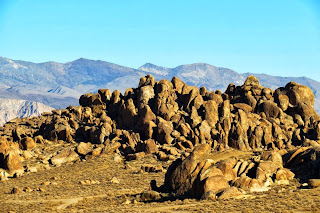 There were also such classic TV series such as Bonanza, and Gunsmoke filmed there. If you are too young to remember these, more recent filming has included the Gladiator, Star Trek Generations, and even Iron Man. 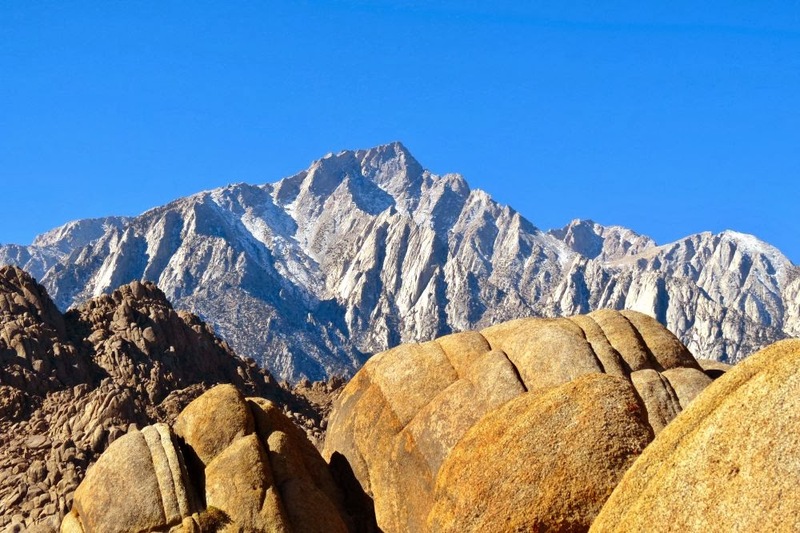 A hike or drive through the Alabama Hills, it is easy to see why they have been a favorite Hollywood filming location. The hills are in themselves fascinating and a bit otherworldly. 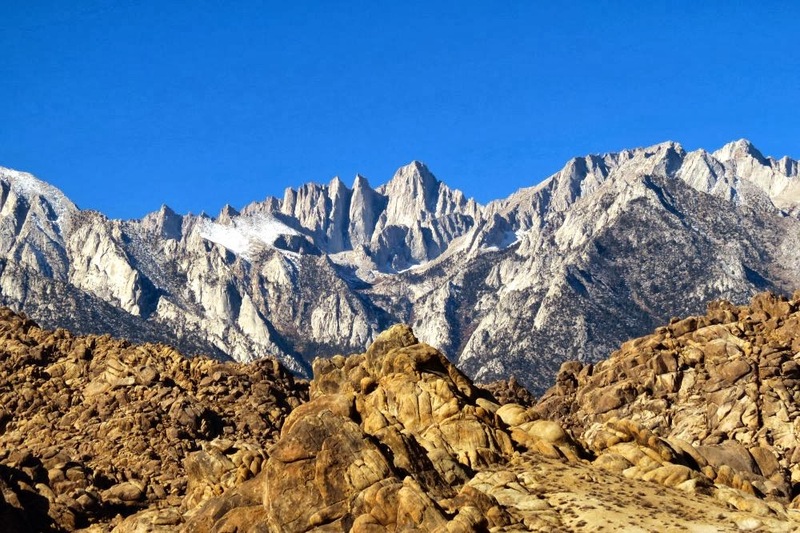 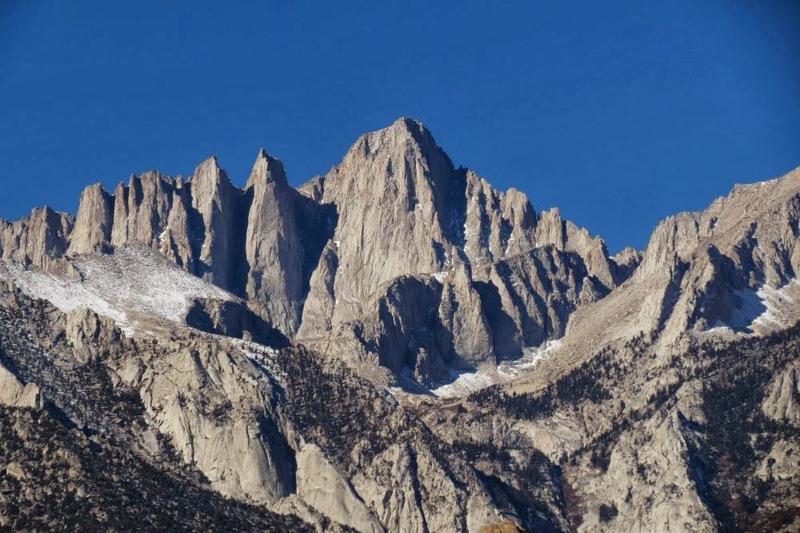 Yet, they lie at the foot of Mount Whitney and the surrounding peaks of this magnificent section of the Sierra Nevada Mountain Range, which makes the whole setting… well, like it was taken right out of the movies. 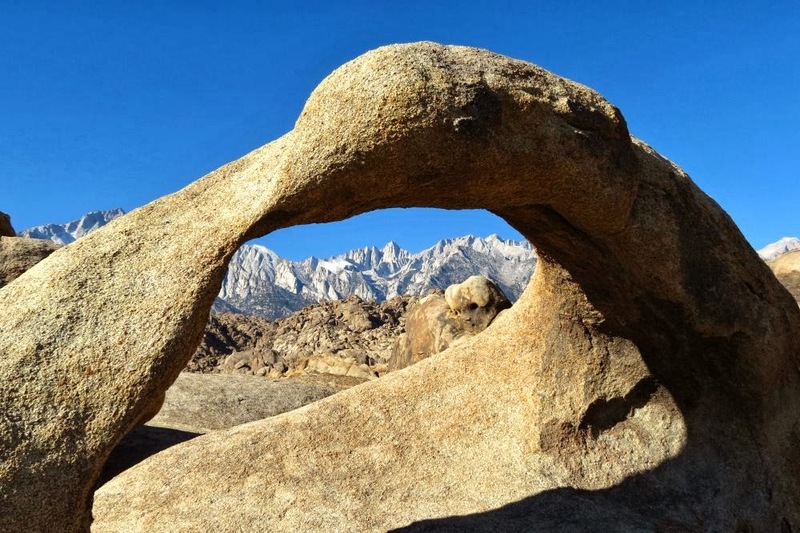 There are 70 plus arches in the Alabama Hills but perhaps most famous is Mobius (or Natural) Arch. 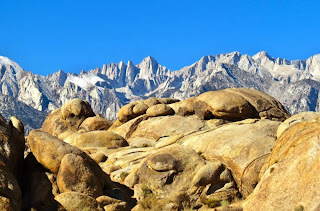 JoAnne and I took the 1 mile hike and were rewarded by this much photographed view. That is Mount Whitney framed by the arch. 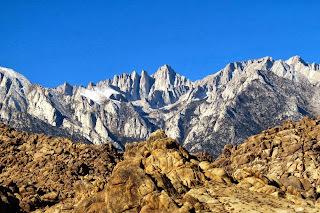 The views of Mount Whitney from the Alabama Hills and the drive up Whitney Portal Road are spectacular. The drive takes you to Whitney Portal and the start of the Whitney Trail. 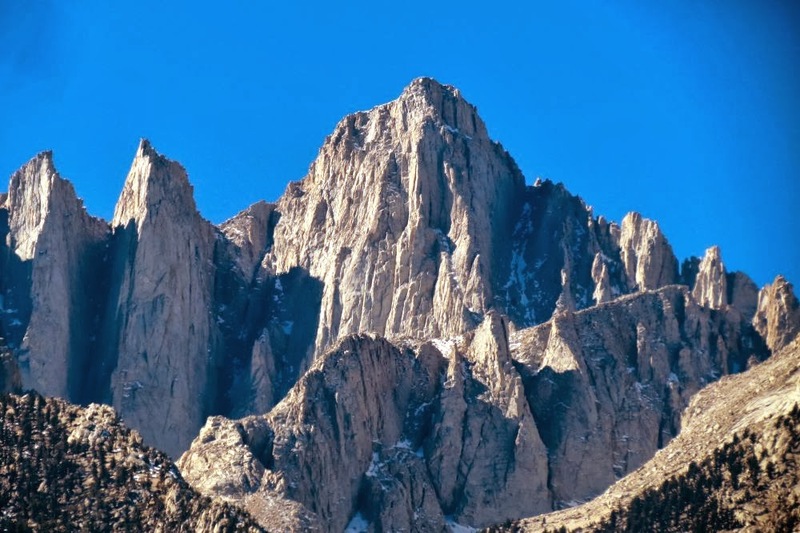 No, I didn’t climb Mount Whitney which at 14,505 is the highest peak in the lower 48. 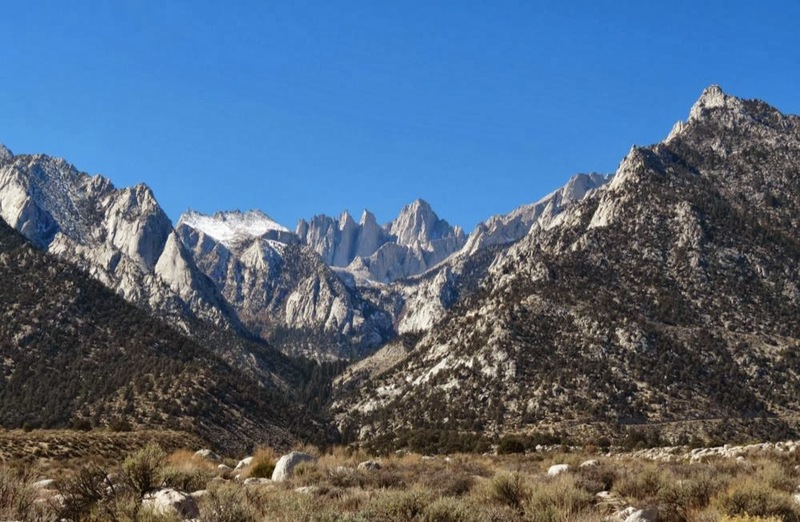 But if you are so inclined, know that you need a permit to hike the near 22 mile round trip from the portal to the summit and back. 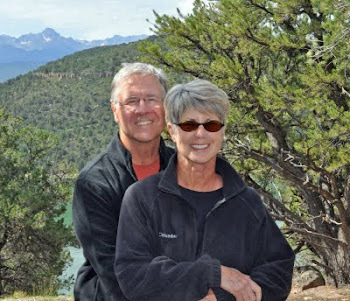 Living in Colorado and having hiked around and climbed several 14ers along with spending the last two summers in Glacier National Park we are used to seeing spectacular mountains. Whitney is special… nuf said.